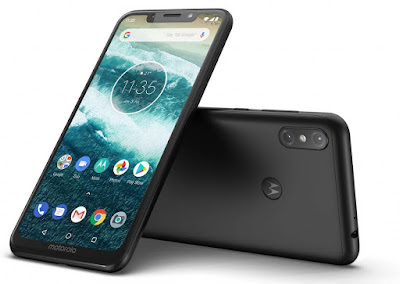 Motorola today launched Motorola One Power Android One Smartphone in India. It comes with Notch Display, Snapdragon 636 and 5000mAh battery. Motorola One Power has a metal body, Design on Rear looks Similar to Redmi Note 5 and Zenfone Max Pro. It has a 6.2-inch full HD+ display with 19:9 aspect ratio powered by 1.8GHz octa-core Snapdragon 636 processor coupled with 4GB RAM and 64GB expandable storage. On Camera, it has a 16 MP f/1.8+ 5 MP dual rear camera setup and a 12 MP front camera The device has a fingerprint scanner on Moto Logo on Rear.Connectivity options include Dual 4G VoLTE, WiFi 802.11 ac (2.4GHz + 5GHz), Bluetooth 5, GPS + GLONASS. It is packed by 5000mAh Battery. Motorola One Power is priced at Rs 15,999 and will be exclusively available on Flipkart Sale on 5th October.